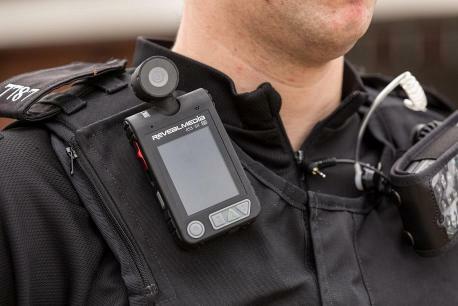 A practical next step to combat the widespread sense of helplessness among good people is to really take up the cause of police bodycams. They must be required equipment, a part of the uniform. Police unions are fighting them, but it is a cause that can grow if people want it to. This entry was posted in BodyCams, Ferguson MO, Police and tagged bodyCams, Ferguson, police. Bookmark the permalink. Marilyn: Do you think Wilson would have been indicted if all of ABC’s Wide World of Sports’ camera team were filming the murder? Ha! No easy fix, but some modest measure of accountability. And yes, I realize video can be manipulated, or more easily, just not turned on. But it’s pretty interesting to see the increase in civilian videos of police brutality posted on line. Dueling videos, perhaps, but the more documentation the better. Certainly hope federal criminal charges are brought again Wilson. I’m wondering what a police cam could have shown about the murder of Eric Garner that the iPhone capture didn’t? The problem is not that there is too little evidence. Nor will vest cams deter police behavior (witness the Eric Garner crime). We can collect as much information as possible, but if none of it is acted on, it just makes things worse.